Happy Tuesday, all! 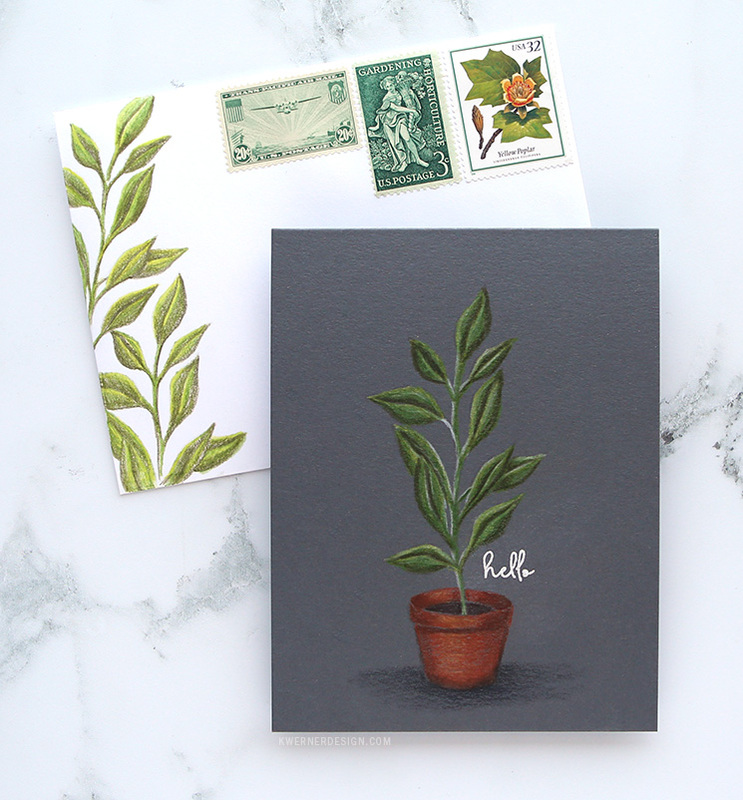 I have a fun card and envelope for you today featuring the new Spice Garden stamp set from Waffle Flower. I thought the images in the stamp set would look great on a simple card where the images can stand out. 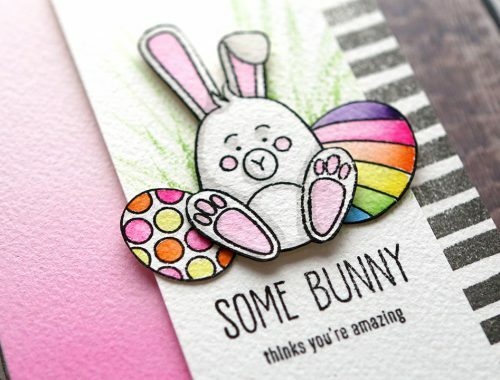 I love to create clean cards like this because it makes it all about the coloring and I can just enjoy the process. 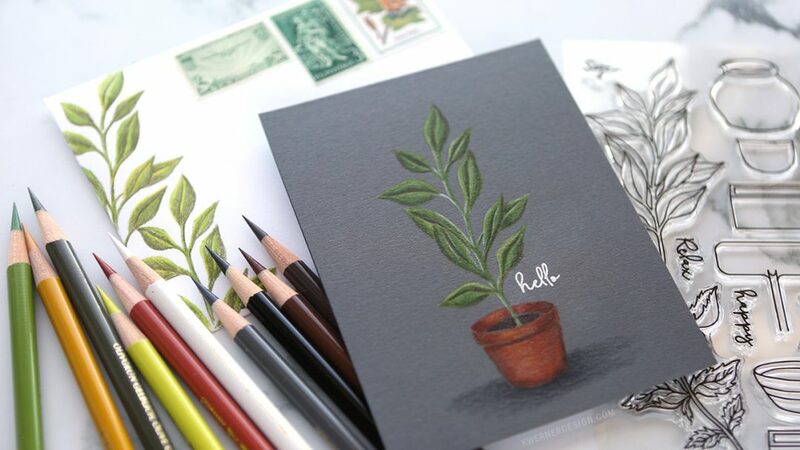 I stamped the images on Slate cardstock in InkOn3 Fade-Out ink and colored them using Faber-Castell Polychromos colored pencils. I also stamped on a white envelope and colored the leaves. NOTE: This pencil sharpener is my favorite since it sharpens to a fine point. 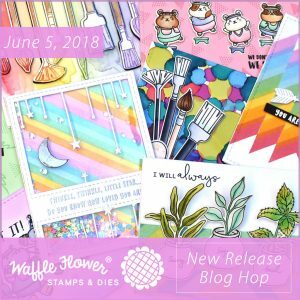 Today’s post is part of a blog hop featuring Waffle Flower’s June release. You can see the entire release HERE. 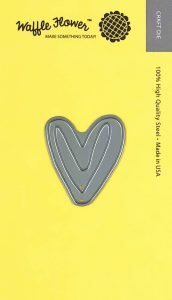 To celebrate the new release, all orders placed by 11:59pm ET on 6/7/18 will receive a free Tiny Painted Heart Die. No code required; Limited 1 per customer; While Supplies last. To celebrate the blog hop, Waffle Flower is giving away $25 gift certificates to THREE lucky winners. You can leave comment on my blog and along the hop by 11:59pm ET on 6/11/18 for your chances to win. Winners will be chosen at random from the comments left on any of the posts on this blog hop and will be announced on the Waffle Flower blog on 6/13/2018. Now get hopping! You next stop on the hop is Laura Bassen.